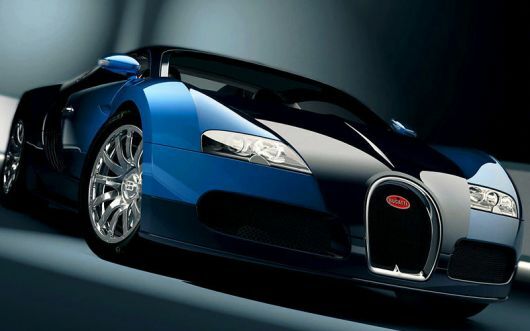 10 Most Expensive Cars | Cartype - Something New Everyday! 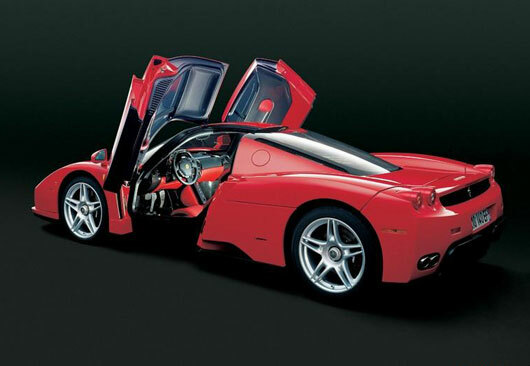 $1,000,000 :: The Enzo Ferrari, sometimes referred to as the the Ferrari Enzo and also F60 is a 12-cylinder Ferrari supercar named after the company's founder, Enzo Ferrari. It was built in 2003 using Formula One technology, such as a carbon-fiber body, F1-style sequential shift transmission, and carbon-ceramic brake discs. Also used are technologies not allowed in F1 such as active aerodynamics. After a maximum downforce of 1709 pounds (775 kg) is reached at 186 mph (301 km/h) the rear spoiler is actuated by computer to maintain that downforce. $741,000 :: The Zonda C12 F debuted at the 2005 Geneva Motor Show. It is the most extensive reengineering of the Pagani car yet, though it shares much with its predecessors including the 7.3 L V12. Power is increased to 602 PS (443 kW/594 hp) with a special clubsport model producing 650 PS (478 kW/641 hp). The company promises a 3.2 second sprint to 60 mph (97 km/h, a top speed over 374 km/h (225 mph) and it will be the queen in braking from 300 km/h to 0 (186 mph to 0). 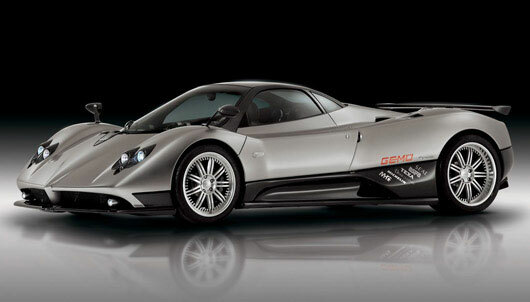 The Zonda F clubsport has a power to weight ratio of 521 bhp/ton (384 W/kg) . Compare, for example, the Enzo Ferrari which has a power to weight ratio of 483 bhp/ton (356 W/kg). $600,910 :: The Koenigsegg CCX is the latest supercar from Koenigsegg. CCX is an abbreviation for Competition Coupe X. The X commemorates the 10th anniversary of the completion and test drive of the first CC vehicle in 1996. The CCX is intended to be more suitable for the U.S. market and thus engineered to comply with US regulations. 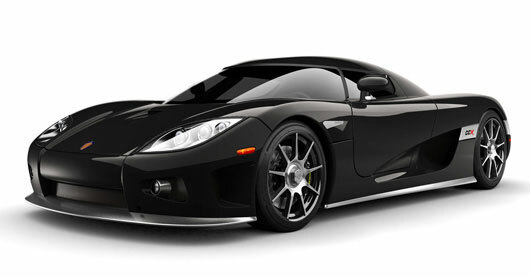 The CCX is powered by a Koenigsegg designed and assembled, all aluminium, 4700 cm. 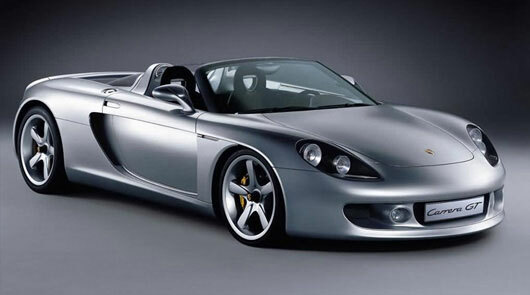 $484,000 :: The Porsche Carrera GT is a supercar, manufactured by Porsche of Germany. The Carrera GT is powered by an all-new 5.7 litre V10 engine producing 612 SAE horsepower (450 kW). Porsche claims it will accelerate from 0 to 100 km/h (62.5 mph) in 3.9 seconds and has a maximum speed of 330 km/h (206 mph), although road tests indicated that in actuality the car could accelerate from 0-60 in under 3.5 seconds and to 0-100 in 6.8 seconds and has a top speed of 335-340km/h (209-212.5mph). 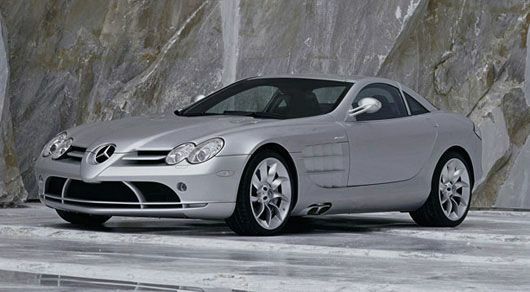 $455,500 :: The Mercedes-Benz SLR McLaren is a sports car and supercar automobile co-developed by DaimlerChrysler and McLaren Cars. It is assembled at the McLaren Technology Centre in Woking, England. Most people presume "SLR" to stand for "Sportlich, Leicht, Rennsport" (German for "Sport; Light; Racing"). $385,250 :: The Maybach 57 and 62 were the first automobile models of the Maybach brand since the brand's revival by DaimlerChrysler. They are derived from the Mercedes-Benz Maybach concept car presented at the 1997 Tokyo Motorshow (which was based on the Mercedes-Benz S-Class sedan). 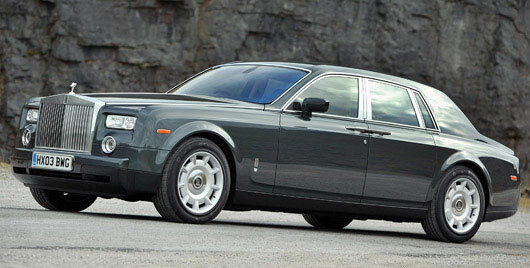 DaimlerChrysler attempted to buy the Rolls-Royce/Bentley marque when Vickers offered the company up for sale. 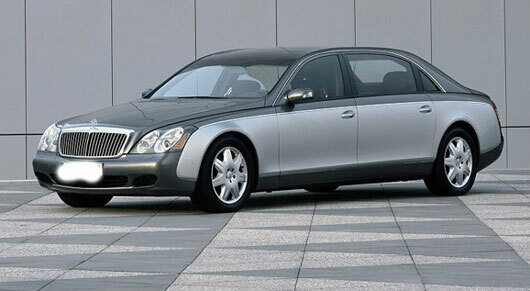 When this attempt failed (they were outbid by BMW and Volkswagen respectively) they introduced the Maybach as a direct challenger in 2002. Both models are variants of the same ultra-luxurious automobile. The model numbers reflect the respective lengths of the automobiles in decimetres; the 57 is more likely to be owner-driven while the longer 62 is designed with a chauffeur in mind. The engine is a Mercedes-sourced 5.5-liter twin-turbo V12, generating 550 hp. $320,000 :: The Rolls-Royce Phantom is a luxury saloon automobile made by Rolls-Royce Motor Cars, a BMW subsidiary. It was launched in 2003 and is the first Rolls-Royce model made under the ownership of BMW. It has a 6.8 L, 48-valve, V12 engine that produces 453 hp (338 kW) and 531 ft of torque. $279,900 :: The Lamborghini Murcielago. v10, 500 hp. 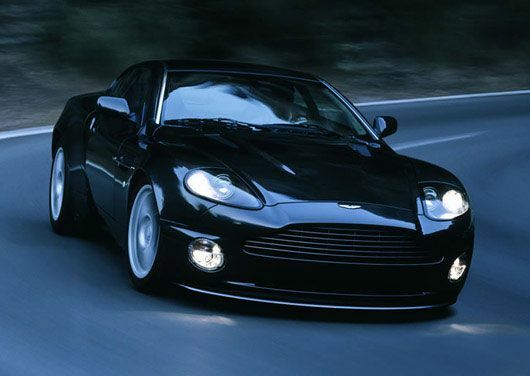 $255,000 :: The Aston Martin V12 Vanquish is a supercar manufactured by Aston Martin since 2001. It rose to fame after being featured as the official James Bond car in Die Another Day, the twentieth James Bond film. In the film, the Vanquish has the usual Bond film embellishments, including active camouflage which rendered the vehicle virtually invisible.